How To Play Volleyball-learn everything you need to know to about this awesome sport. From the basic skills, to the 6 basic positions, the rules, to the history, to important tactics and more. Are you ready to learn how to play volleyball so well that you make the team or teams you plan to try out for? Whether your goal is to make your varsity, JV or a club team or even prepare to play in college you've come to the right place. You'll get your questions answered and you'll learn how to improve your game playing skills so you can help your team score points and win. 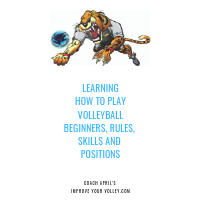 Coaching Volleyball Serve Skills What Do You Need To Know About Serving? 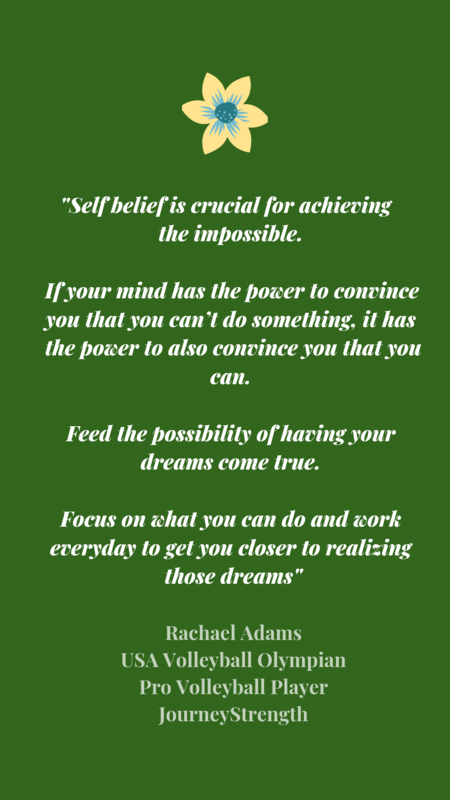 The serve is the first opportunity for you, the player, to score a point. And, its the one skill, out of all six of the essential skills, that you, the player can do, all by yourself without the assistance of another player to help score a point for your team. When a player scores a point with their serve its called an ace. An ace is a serve that is so well placed that it lands on the opposing team's court before an opposing player is able to play the ball. Once the referee blows their whistle to begin a rally, the player on the serving team in the right back position, which is also known as Zone 1, steps behind the service line and serves the ball over the net. 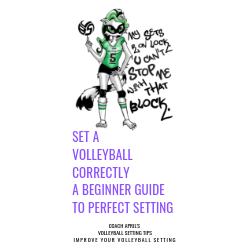 Beginner and inexperienced players learn how to play volleyball just by serving it over the net easily to begin the rally. 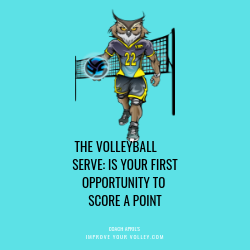 But the volleyball serves made by advanced players are tougher and harder because they may use a jump serve to try to score a point from the service line. 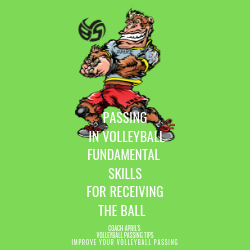 Passing and serving are two of the most important skills you can learn in this sport. One of the two most important skills to learn first is passing in volleyball because if you can't pass then you can't play. Passing is done when you hold both wrists together, and with both thumbs side by side and pointing to the ground as you contact the ball on the forearms of both arms. Keeping your thumbs pointed to the ground, keeps your arms straight. Your forearms, commonly known as "your platform", should be angled towards the target you plan on passing the ball to. 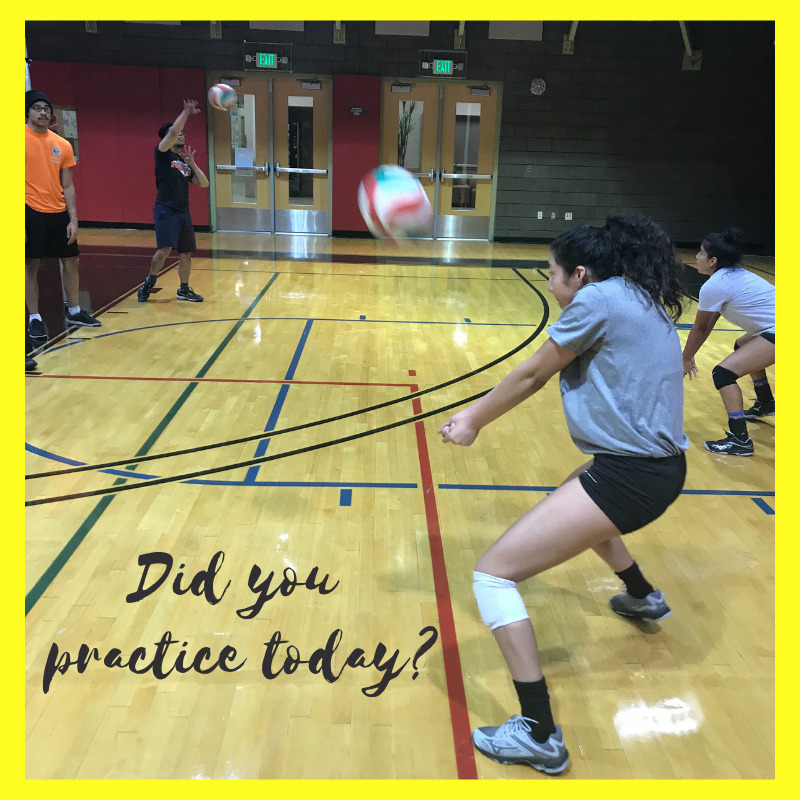 When learning how to play volleyball, you understand that "the pass" is used the majority of the time to get the ball to travel from one player to a teammate, or over the net. When learning how to set a ball, you'll use an overhead contact with all ten fingers shaped in a triangle around the ball to push it back up towards the ceiling, so it travels from you to your intended target. Setters, are the players responsible for getting to every second ball on their side and they are specialists in using this overhead contact called "the set" to deliver the ball to the hitters on the team. The setter waits close by the net for the pass and they "set the ball" to one of their outside hitters or middle blocker. The hitters responsibility is to spike the ball over the net, back to the side of the team who first served the ball. They are trying to spike or hit the ball to an open space on the court so the receiving team can score a point. When you score a point with a hard hit, its called a "kill." When learning how to play volleyball its important to learn the importance of hitting to different areas of the court. Hard hitters with well-placed spikes score for their team all the time. But smart hitters who see the court and know where to place the ball, out of the reach of opposing players on defense, score just as many points. So it doesn't always matter how big you are just how talented you are and how well you see the block and the court when it comes down to learning how to spike in volleyball. 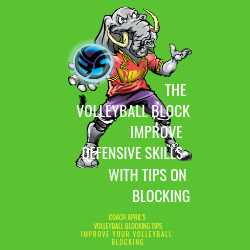 As a defensive player at the net, which is what a blocker is, you will block a ball by using this eye sequence pattern called BSBH or Ball - Setter- Ball - Hitter. This eye sequence pattern is called BSBH or Ball - Setter- Ball - Hitter. Its what both, the diggers. in the back row and blockers in the front row do or better yet 'how they watch the offense' in order to try and be in the right place at the right time in order to stop a ball at the net..or keep the ball from hitting their court floor. While its the blockers job to try and stop the ball at the net, its the responsibility of the players in the back row to keep the ball of the floor, if the ball happens to get past their block. The technique used to keep the ball of the floor is volleyball digging. 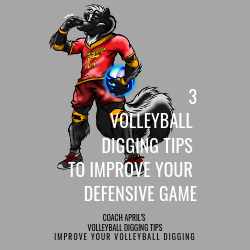 A dig is made when you put your hand or arm(s) in front of the path of a ball, while sinking your hips lower to the ground, below the level of the oncoming ball. 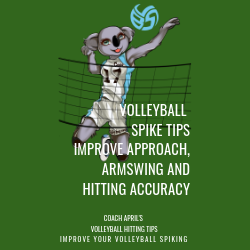 You use your forearms to contact and deflect the ball up towards the ceiling so a second player, ideally the setter, can make a second contact on the ball. I Love Coaching Volleyball Basics!